Rabat - The Libyan state-owned petroleum product distributor OiLibya has just launched renovations its lubricant production factory in Casablanca. 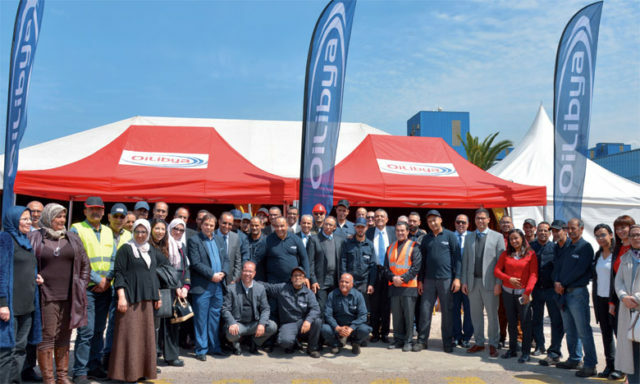 Rabat – The Libyan state-owned petroleum product distributor OiLibya has just launched renovations its lubricant production factory in Casablanca. The project, which has an estimated budget of MAD 85 million, is part of the a strategy to prioritize high quality and innovation in Morocco, according to the company. As part of the renovation, the manual production unit, which was constructed in 1967, will be replaced by a fully-automated system, resulting in increased production capacity, greater operational safety and improved product quality. The company stated that the investment will ensure the production of high-quality lubricants that will meet all customer needs. OiLibya is managed by the Libyan Investment Authority and has over 1,000 service stations in 18 countries in Africa.